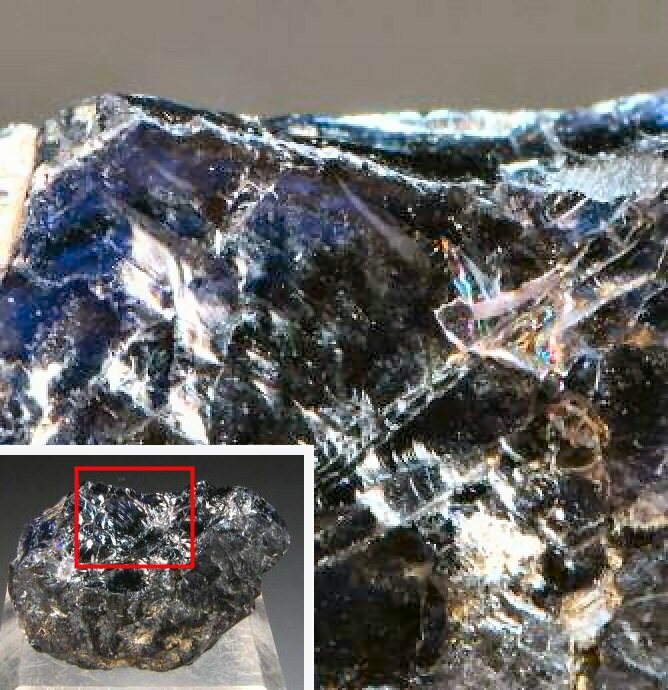 Comments: Piece of near-gem-quality glassy gray-blue cordierite with some yellowish internal reflections. Location: Mt. Bity District, Madagascar. Scale: Overall: 2 x 1 x 1.5 cm.